Blogger Jeremy Rickey, of the Moon in the Gutter blog, tagged J.D. and seized upon another’s (The Dancing Image) lead of offering up some stills that captured a certain theme byway of his image collection. J.D.’s meme post followed suit, centering on director Michael Mann’s protagonists in isolation. Wonderfully, I might add. Who was I to buck such a trend? 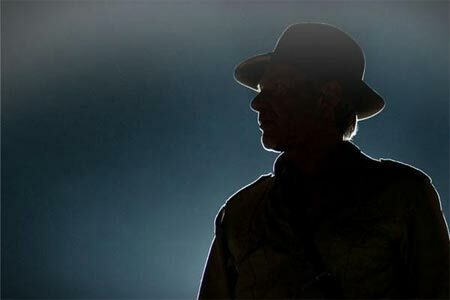 Back then, I chose the theme of heroic silhouette images in cinema. This visual outlining technique, which has been noted to be tied with mythology, continues to be well used in motion pictures, for many decades now. Primarily, it’s brought into play to portray and/or identify the hero, or protagonists, on film. It’s a technique that has drawn me to its use for many years. Shouldn’t surprise — I think I’ve made it clear by now that high-contrast images capture my interest. Pick as many pictures as you want — but make them screen-captures. These need to be moments that speak to you that perhaps haven’t been represented as stills before. You MUST link to Stephen’s original gallery (see above) and my post if I am tagging you and you choose to participate. Back in 2010 I made my five blogger selections for continuing this image meme, if interested in participating or hadn’t already done so. For today’s reprise, I’ll leave it to any reader who’d want to reopen this idea. You’re all invited partake. 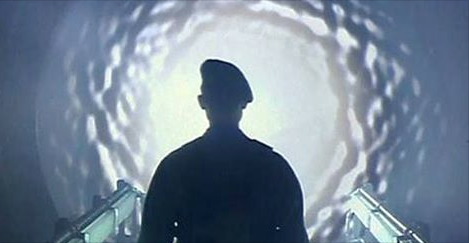 Obviously, I think highly of the silhouetted image I’ve used for my post’s lead. 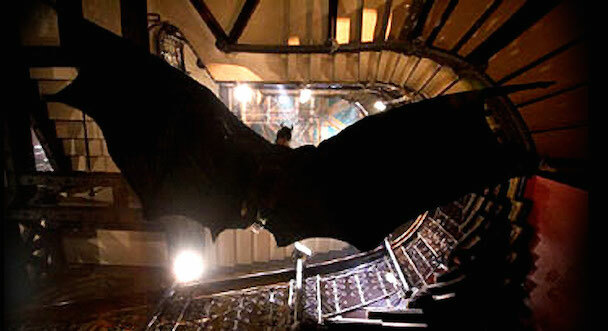 Bruce Wayne as you-know-who in Batman Begins. The following are my favorites for this category. Very cool idea, post and dissertation! I’d add the final moments silhouette of Cornel Wilde’s Detective Lieutenant Leonard Diamond wrpped in diffused light, smoke and shadow. After the final gunfight with Richard Conte’s crime Kingpin, Mr. Brown in the way ahead of its time Noir gem, The Big Combo . Could also add Omar Sharif on camel back riding through the desert heat haze before meeting Peter O’Toole’s T.E. Lawrence in Lawrence of Arabia. And Orson Welle’s Harry Lime being pursued by Calloway and company through the Vienna sewers in The Third Man. Some more grand examples, Kevin. Well done, my friend. Thank you. Sorry for the continuous italics. Fun, fun, fun. Great gallery. WHOA!! These. are. awesome. I LOVE your picks Michael, esp that first one of Batman. I LOVE the Leonidas one too, very artistic! 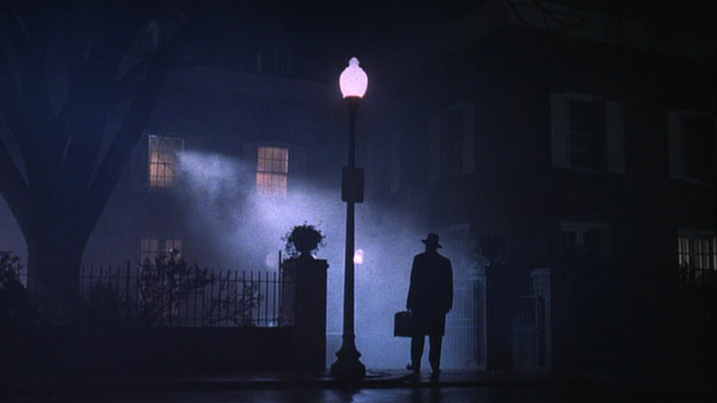 Oh and the one from The Exorcist always gives me chills. I’ve always like silhouette images as long as they don’t feel forced. Those are some great picks. My hometown colleague, Richard Kirkham, linked to this article and featured a rather great one himself for this 80s classic. Awesome post here, Michael. So many great shots. 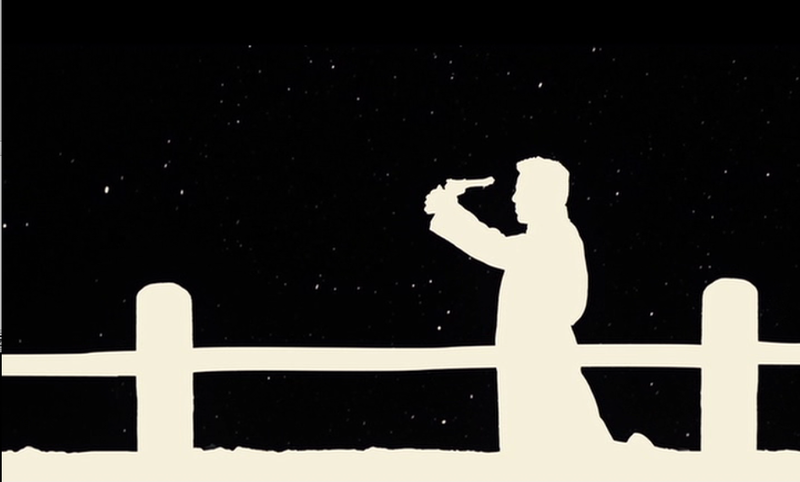 That Sudden Impact silhouette with Clint holding the .44 Automag has always been a personal favorite among movie scenes. When I was in college, I’d have loved to have had a poster of that to hang in my dorm room. Sadly, I never found one for sale anywhere. I don’t think I ever paid attention to silhouette before. Thank you for making this. 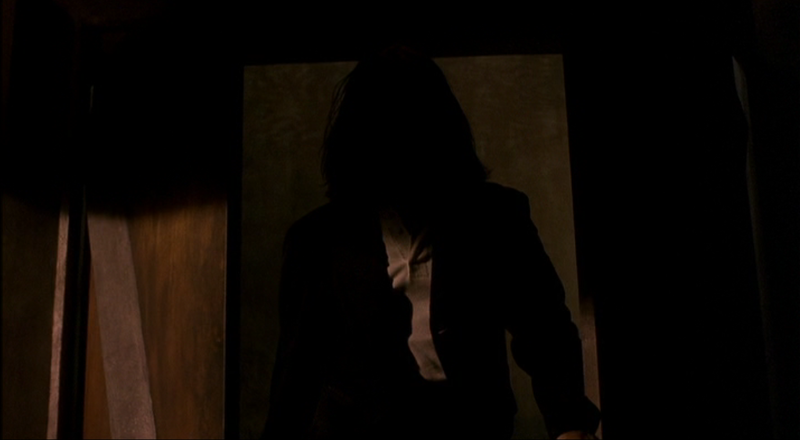 I am currently working on a video essay on silhouettes and this gave me a bunch of ideas. Do you consider the ending of Fight Club to be an example of characters in silhouette? I can’t decide since you can still see some detail in their figures. 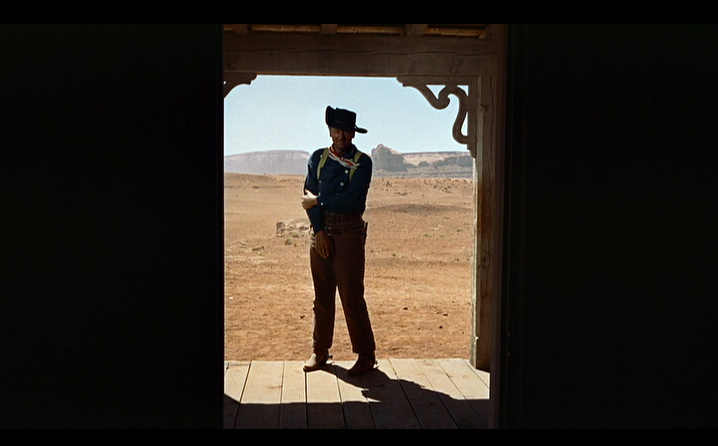 Having a hard time deciding on the end of The Searchers as well. Thanks! Thanks and welcome, Jake. 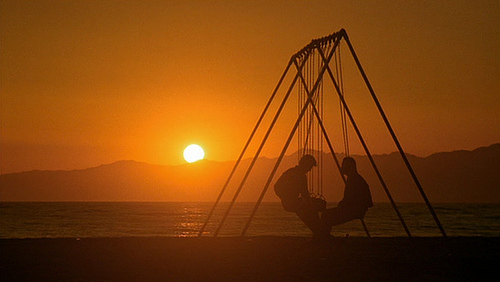 I would consider those frames of which you speak in Fight Club and The Searchers as characters in silhouette. Could be just me, but I don’t think the silhouette has to be a totally shadowed one (as in blacked out) to qualify for this outlining technique. Best of luck with your video essay. If you posted it online, please leave me a link to catch it. Thank you for the reply! And I agree with you. Just wanted the opinion of a fellow silhouette enthusiast haha. And I will be sure to send you the Vimeo link when it is completed. Thanks again!